Ron and Shannon Ford have been professionally decorating and enhancing their clients' views through their windows for over 17 years using quality name brands such as Hunter Douglas, Graber and Norman Shutters. We have worked with clients from Florida to Canada, from the Czech Republic to California and everywhere in between. We've worked with actors, rock stars, professional athletes, and thousands of people like us hard working families trying to make a living in these trying times. Having such a diverse clientele has given us a vast knowledge over the competition. We realize how much the little things that many companies overlook can make all the difference in the world in the feeling you get from your purchase of custom window treatments. Anyone can make a window look good, but we make them look great! We take into account the little things like; how light hitting the room can change everything, how the windows work, such as tilt-in windows or tilt-out windows or slide left or slide right window panes. As well as; is the client a night worker and needs the room dark during the day, is there an infant or toddler in the room so we need to do a cordless blind to avoid a choking hazard, what is the feeling you want your room to give: fun, relaxing, inviting ect.? We pride ourselves in doing what the big box stores don't-building lasting relationships with our clients. Whatever your needs may be, we're sure we can find something to fit your budget! 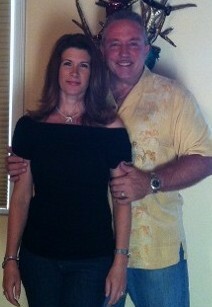 Please feel free to call and set up an in home consultation, we look forward to meeting you. 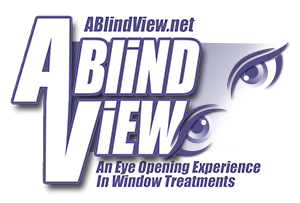 Give us a try and you'll see why, "A Blind View truly is An Eye Opening Experience In Window Treatments." Contact us for window services that meet your individual needs. Serving Knoxville, Farragut, Clinton, Oak Ridge, La Follette, Oneida and surrounding areas.